Your dog doesn't care what the label on his dog food packaging says. But there's lots of information there that should interest you. At first glance, it's a lot to digest. So we've created this guide to help you better understand what it all means and how it impacts your dog. Brand name. The brand name provides the overall image and company affiliation of the product. Product name. The product name provides the information about the individual identity of the particular product within the brand. The name can be a general name or a more specific name that includes an ingredient. 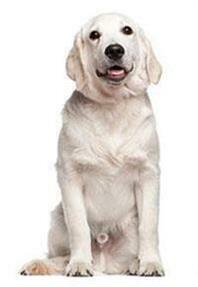 For example: PEDIGREE® Wholesome Nutrition With Chicken, Rice and Vegetables. Net weight. This lists the amount of product inside the container. This small piece of information is highly regulated and stringently inspected. Statement of intent. This identifies the type of pet for which the product is intended, and communicates this to the consumer with verbiage such as "Food for Dogs." Guaranteed analysis. By law, the guaranteed analysis must show the guaranteed amounts of specified nutrients in the product. The order and format of this statement is dictated by regulations. Certain nutrients (crude protein, crude fat, crude fibre, and moisture) are required by law to be listed in the guaranteed analysis, but other nutrients (calcium, phosphorus, taurine, etc.) are optionally guaranteed. The values listed are given as maximums or minimums (by law), and they are not the actual values of the nutrients in the product. Since there is natural variation of ingredients, the actual values vary within a small range that is close to the maximum percentage stated, depending on the nutrient. For example, if a pet food label has a statement of "minimum 21% protein," you can be fairly confident it will contain more than 21% protein to ensure it exceeds that minimum guarantee. Crude fibre and moisture are stated as "not more than." The moisture and fibre will be a little below that maximum guarantee. Be aware that a guarantee does not allow for product-to-product comparisons, since it doesn't consider nutrient density. Nutrient density is the measure of nutrients per 1000 kilocalories of metabolizable energy, and determines the amount of an ingredient digested, absorbed, and used by the dog. "Typical" analysis is not reported on labels, but is frequently reported in product brochures from the manufacturer. Typical analysis represents the average analysis of nutrients in the pet food. Ingredient list. This list shows all the ingredients in the product. The ingredients are listed in descending order by weight, which must include any water required to properly process the food. By law, every ingredient must be listed separately, either by its official name or common name (no brand names are allowed). Manufacturer or distributor. The party responsible for either the manufacture or distribution of the product must be shown on the label. The address must be complete enough to allow identification and contact via telephone. "Manufactured by" indicates that the product has been made by the responsible party, in addition to being sold and distributed by them. Country of origin. This must be indicated if the product is not manufactured in the U.S. with a statement such as: "Made in _." Nutritional adequacy statement. The nutritional adequacy statement is required and indicates the nutritional delivery of the product. The Association of American Feed Control Officials (AAFCO) is a national association composed of state and federal regulatory officials who establish standards and guidelines for pet food and feed labels and labeling. If the product is being marketed as a complete food, the key words in the nutritional claim are "complete and balanced nutrition" and the lifestage(s) the product is designed for. A complete and balanced food can satisfy the particular nutritional demands of the animal without any supplements. In other words, a complete and balanced food will provide all the nutrients your dog needs in the right amounts. AAFCO allows the manufacturer to substantiate the nutritional claims in one of two ways: either analytically or through animal feeding trials. The minimum requirements for these tests have been published in the AAFCO Official Publication. Feeding guidelines. Pet food labels must provide the consumer with directions for use. In addition to defining the intended purpose of the food, the directions for use must also incorporate the feeding recommendation or guidelines. The amount of food required is dependent on the energy requirement of the animal. Individual requirements can vary by breed, age, gender, environment, and activity level. This means that the values given by manufacturers can never be more than a good average guideline. If a pet is too fat, too thin, or has an underlying medical condition, corresponding adjustments to the amount of food offered is just as important a factor as the label information. The best way for pet owners to monitor their pet's food intake is to use a consistent measure and to weigh the animal frequently. The "building blocks" into which proteins can be broken down and from which proteins can be constructed. Material resulting from a cooking process of clean, wholesome animal tissue; digests are usually used for flavour enhancement and some protein contribution. The fat may come from mammals or poultry. If a descriptive term is applied, the total fat must be from that source. For example, chicken fat must come from chickens only. These are ingredients that help inhibit oxidation or reactions promoted by oxygen or peroxides. For example, Vitamins E and C are antioxidants found in both human and pet foods to help support a healthy immune system. The total of all minerals contained in a particular food. This term is used to describe the residue left by these minerals after the food has been burned (which is the way food is tested for ash). The dried and ground sterilized product resulting from cooking wholesome bones. This is a source of calcium, magnesium, phosphorus, and other minerals. The clean parts (other than muscle tissue) derived from beef or pork ("meat by-products"). It includes, but is not limited to, lungs, spleen, kidneys, liver, blood, bone, and stomach. It does not include hair, horns, teeth, or hoofs. Chicken or turkey by-products (poultry by-products) include the clean parts of the carcass, other than muscle tissue of slaughtered poultry. By-products are a source of amino acids and protein. The amount of energy in the form of heat necessary to raise the temperature of 1 gram of water by 1ºC. An approximate measure of the amount of indigestible cellulose, pentosans, lignin, and other fibrous components in the food. The amount of energy that is absorbed and digested by an animal. A measure of the content of the food that is digested by the body. A required nutrient. Magnesium is important in carbohydrate and fat metabolism, enzyme reactions and the proper functioning of muscles and nerves. It is found in the soft tissues of the body as well as in bones. Sources of magnesium include bone meal, poultry by-product meal, whole grains, green vegetables, and dairy products. Muscle tissue derived from beef, pork, chicken or turkey. Substances added to protect, prevent, or retard decay, discoloration, or spoilage under conditions of use or storage. Examples include, but are not limited to, ingredients like BHA/BHT (a chemical preservative) and Mixed Tocopherols (a natural preservative). Any of a large class of complex combinations of amino acids. Used for essential fatty acids for skin and coat health, sources of energy and flavour enhancement. Sodium nitrite maintains natural meat color in canned products; Caramel color is an approved color for human and pet food products. Excellent sources of soluble and insoluble carbohydrate (fibre), which provide product texture and consistency in canned foods. Also used in human foods (e.g., cheese products, ice cream, yogurt, pudding, etc.). Sources of crude fibre that may help maintain a healthy digestive tract. Prevention of mold formation in dry and semi-moist foods (also in bread). Assurance of proper preparation and cooking of other ingredients in the food's processing.